Do we really need to provide you a reason to check out this awesome beverage? All the taste of Golgappe wala pani in a packet devoid of the extra-curricular harmful ingredients including nasty microbes which generally make you sick! Truth be spoken, life can’t get better than this! Now something which will make you go from “I want this” to “I really really want this right now!” This beautiful beverage has ingredients which are actually good for your health like tamarind which is a great immunity booster, lemon which aids in digestion and the chilli bits which have Vitamin A and E, copper, iron and potassium. So technically we present before you something which used to make you sick in a form which will make you healthier! 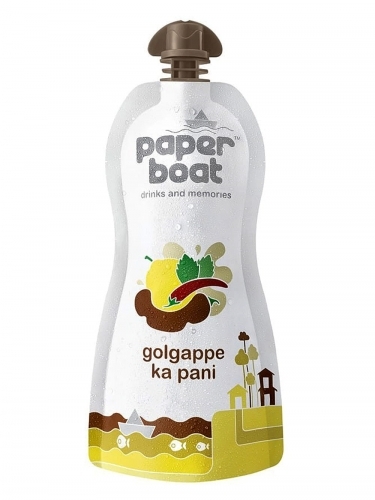 Thank your lucky stars for Paperboat which manufactures these products in a hygienic way, providing you with great quality and amazing taste. We at FoodFeasta.com play our humble part by facilitating as a bridge between you and this tantalizing drink! All you have to do it buy it online from FoodFeasta.com and we will deliver it right to your home.